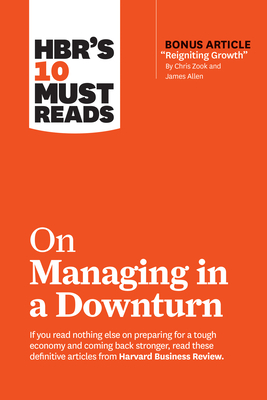 How do the most resilient leaders and organizations survive--and even thrive--during a market slowdown? If you read nothing else on weathering a down market and returning to growth, read these 10 articles. We've combed through hundreds of Harvard Business Review articles and selected the most important ones to help you navigate a tough market, stay resilient, and return to growth and prosperity faster than the competition.